This morning Diane and I are headed up to Salt Lake City again for another concert. I’m pretty excited about this show since I like every single band on it! 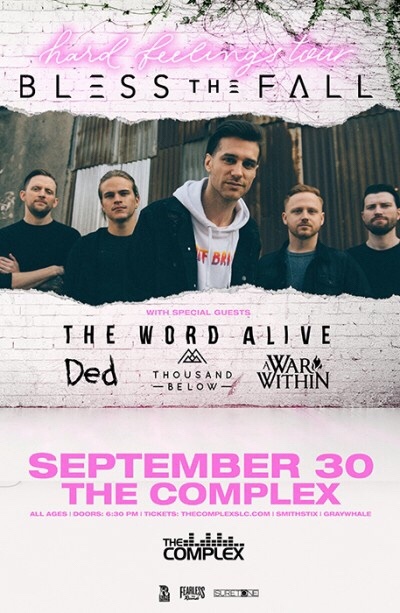 Blessthefall and The Word Alive both put out two of my favorite albums this year, Thousand Below and DED put out two of my favorite albums last year, and it’s always good to see my friends in A War Within! I can’t wait for this show!